I have been a volunteer Advisor since 2009, and I was a Lead Volunteer Advisor between 2010 and 2015. 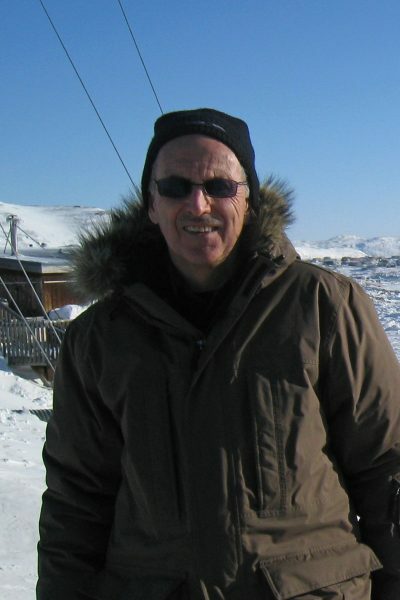 I have specialized in mentoring programs in Nunavut for most of my CESO work. After 35 years in the federal government, I wanted to use my skills to help individuals develop to their full potential. For me it is important to ensure that those areas of Canada that are less economically developed are supported by bringing good leadership to their government operations and policy. In particular, I am keen to use my experience in science-based programs to ensure that younger leaders are effective in protecting our environment while facilitating economic development. My most lasting memories of my work within CESO are my engagements in the Nunavut Program. Over a period of five years, I had the opportunity to mentor young leaders within the Nunavut Department of Environment and partner departments. These leaders were a mixture of Northerners and Inuit who showed great promise and benefited from having gentle direction, advice and support from a colleague with extensive scientific and government experience. As with all mentoring, I found that I learned a lot about people, about Northern environmental issues and of the resilient people of the North. My frequent visits to Iqaluit gave me the opportunity to see the beauty of the North and some of the challenges of living there, especially related to social and environmental concerns. The CESO program has brought tremendous value to Nunavut since its inception in 1999 and should be celebrated for its success. Economic development is important because it leads to opportunities for wealth and social well-being. In the North, most new opportunities are in mining and resource development. I have been fortunate to work with those charged with ensuring that development occurs in a sustainable way. In this way the traditional Inuit way of life can be preserved while ensuring that communities benefit from natural resources. I advise Volunteer Advisors to immerse themselves in the cultures they are dealing with. We need to leave some of our own preconceived ideas at the door and learn to understand and value the culture we are working in. This brings richness to our own experience but also makes us more credible advisors. Of course we bring our own experiences and knowledge, but we must try to understand what will work in the new situation. We must be flexible and adapt the solutions to local customs, knowledge and values.